Tiles are known to be porous and are prone to trap moisture. This moisture content then leads to the development of molds, cracking, discoloring, popping out of tiles from the surface, and other dangerous tiling issues. Bathroom tiles and toilet tiles are more prone to such damages. 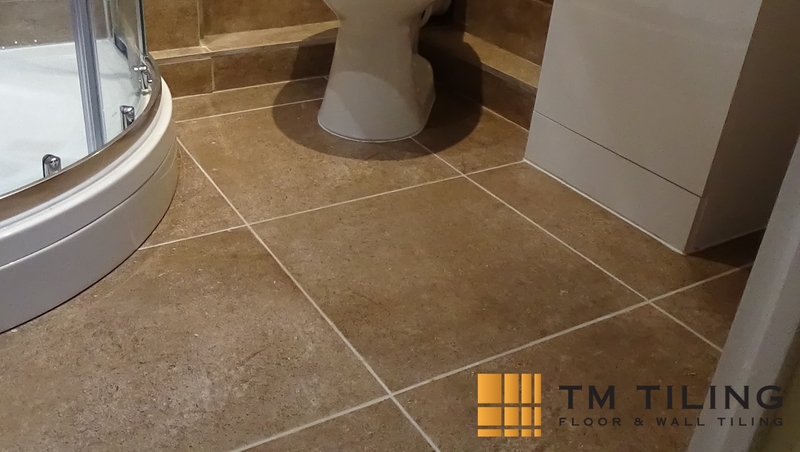 This problem involving toilet floor tiles can be avoided if you engage in waterproofing services during the tiling work. The tile contractor either waterproof existing tiles or carry out waterproofing during tile installation. 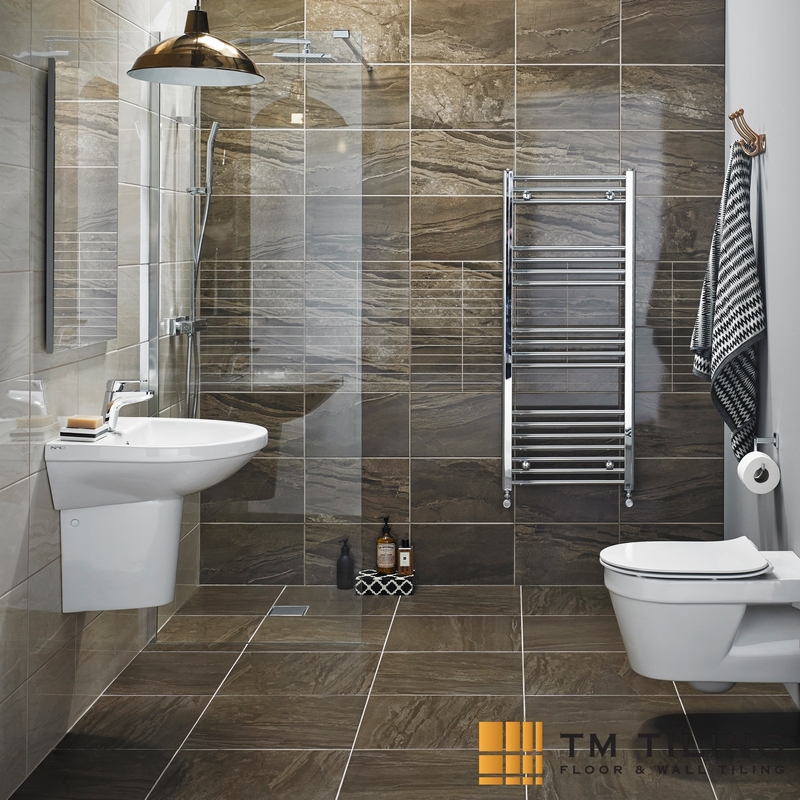 When you hire a direct tiling contractor like TM Tiling Singapore to waterproof toilet wall tiles and bathroom floor tiles you are in for an exceptional and high-quality service. You must immediately contact an experienced tiling contractor in Singapore to repair the bathroom wall tiles and bathroom floor tiles to prevent any injuries. 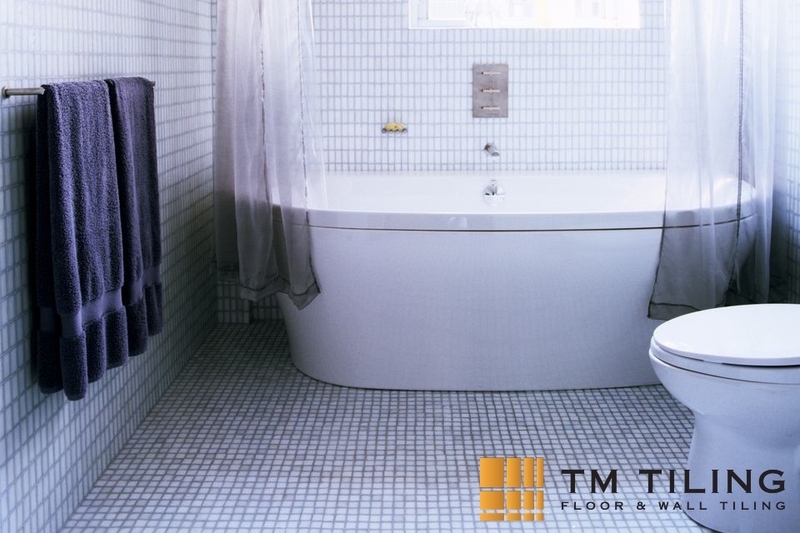 At TM Tiling Singapore, we provide a range of tiling services as well as waterproofing services that involves the application of a new membrane underneath the tiles and install them exactly like the new ones. In addition, we also provide sealers. Most people think of sealers as the putty placed in between tiles. However, sealants can also be used as a paint that is applied on the exterior of the tiles. This procedure is a very effective waterproofing method as it prevents the water from damaging the tiles. Why Hire TM Tiling Singapore? When water leakages start damaging your bathroom tiles, it’s an urgent sign that you need to get your tiles waterproofed. Our team of professional tiling contractors are not only experienced in waterproofing works involving toilet tiles, but also other wet areas in your house like balconies and patios. Bathrooms are mostly prone to damages due to water exposure. If not routinely cleaned and maintained, you may end up spoiling the bathroom fittings as they accumulate mold – from towel racks, taps, showers, to pipelines. Toilet waterproofing helps in sealing the porous tiles and prevents water from seeping inside. This waterproofing treatment involves several stages. Firstly, the surface is cleaned thoroughly. Secondly, re-grouting is done to remove any sewage accumulation from the tiles. Next, a chemical solution is applied in the toilet area and once the chemical soaking is complete, toilets are then cleaned and made ready to use. As the balcony is the most exposed part of a house, it is often more vulnerable to damages over time, especially when made with ceramic tiles. 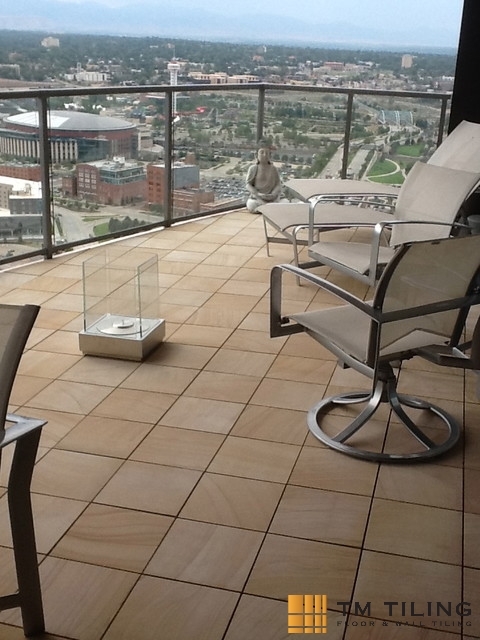 Being exposed to direct sunlight and natural elements, the tiles on the balcony may discolor quickly. To prevent such waterproofing issues, you must engage with a trusted professional like TM Tiling Singapore. Getting waterproofing done on balcony floor tiles not only prevents water leakages but also beautifies the area. For the treatment, the balcony surface is thoroughly cleaned and a chemical is poured on it. Once the chemical is soaked, the area is washed off and the waterproofing method is continued. Waterproofing must be carried out by an experienced team of experts. At TM Tiling Singapore, we have a crew of reliable professionals able to carry out waterproofing works and other tiling services efficiently. As waterproofing is a time-consuming job, it requires both knowledge and competency. Lack of any of the elements or apparent unprofessionalism may result in loss of money and further damage on tiles. Don’t hesitate to contact TM Tiling Singapore now! Call us at +65 6653 5655 or email us at enquiry@tmtiling.com. Our team of tiling experts will get back to you as soon as they can.